Have an upcoming community/public event you'd like to share information on? Click here to submit your information. 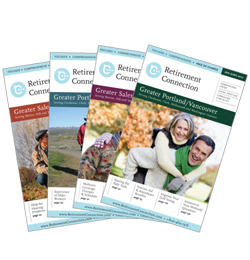 Retirement Connection is happy to post this for you at no cost in the News & Events section of our website. Saturday evening is a Search and Rescue fundraiser and Sunday we will be Walking to End Alzheimer's Disease. Please email us if you would like to receive more. and "like" our page to receive weekly community events, articles, announcements, and event photos. to connect with other referral sources and stay up to date on upcoming professional and networking events, Long Term Care related news, and pictures from events. at Portland International Raceway, please come join us. Walk begins at 2pm You don't want to miss out. Kids zone, car show, bus parade, resource booths, live music. We often listen with our own experiences in mind and with the intent to reply. Sometimes the planned reply gets in the way of truly listening. I personally, interrupt to often and I am working to listen without feeling a need to reply. (as I said- I am working on it- not yet mastering it).